This is pretty cool. It’s a Flex / AS 3.0 application that offers some of the functionality of Photoshop in an online editing fashion. It’s still in beta (isn’t everything these days :p), but does show real promise (imagine it with the fullscreen option…). If you haven’t already tried it out head over to fauxto.com and have a play (it is a bit lethargic at times but that I’m sure will be resolved). One thing to note though is if you have Flex Builder installed expect to see a load of debug error dialogs pop up. Once those are fixed it does look like it could form the basis for a nice tool – However I’ll personally stick with Photoshop purely because I don’t need that particular wheel re-invented at this point in time :). Before you decide to stick with photoshop, you might want to try the “real-time” gradient tool which is a great improvement over Photoshop’s gradient adjustment. Also, the Tab feature for multiple images is a terrific idea instead of moving windows around. In my blog, I write about uninstalling ALL applications from my desktop and only run online tools. 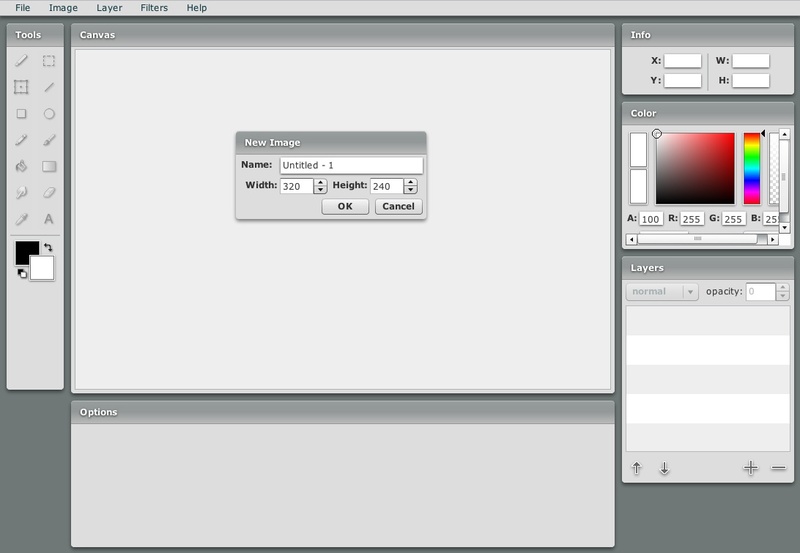 I just did a post with a screencast of Fauxto on my blog.